To delve into this further, we want to focus our attention for this blog on IPC-A-610. This is the most noted standard specific to electronic assemblies and, as such, is generally accepted as the one that defines the boundaries of acceptability for printed circuit board assemblies (PCBAs). IPC-A-610, by virtue of being specific to PCBAs, is somewhat complex. It has to answer to the printed circuit board itself and all the components, finishes, and soldering that goes into one. With so many variables, the definition of “good” within this IPC 610 standard can get a little murky. To help clarify within the IPC 610 Standard, there are 3 classes that help codify different levels of acceptability for your PCBA product. This is important for you to know so that you can share your level of standard with your electronics manufacturing service provider. It’s also important because it increases the odds that you are going to get the kind of product you want, not what the provider thinks you want. In Class 1, there is some degree of leniency when it comes to potential defects like open solder joints, shifting and shorting. The types of products that typically fall into this class would be cheap kids toys or inexpensive electronics. More than likely the PCBA will be hidden somewhere on the product where no one is likely to see it. There is little expectation for these products to work reliably for long periods of time and, as a result, quality is held more loosely. These products are typically assembled to meet a given price (aka “as cheap as possible”) versus an expectation of quality. For Class 1, it needs to work but if it only works for a short while, nobody is likely to complain. As you might guess, Class 2 under the IPC-A-610 Standard is the middle option. Many manufacturers pick this class because there is enough requirement for critical components but allows for imperfections in non-critical pieces. A manufacturer might choose this when they’d like non-critical assemblies to have a greater longevity and reliability over Class 1, but they aren’t absolutely essential. It could also be the choice when a manufacturer is willing to let the aesthetics of a project slide as long as it’s electrically functional. This isn’t necessarily the right decision, but when weighing cost and quality, it’s easy to see why it is often the choice. The highest standards all reside within Class 3 of the IPC-A-610 Standard. Critical PCBAs for most projects would fall under this standard. In order to achieve these standards, extra time and cost may go into a product to improve accuracy, cleaning, reworking, or other processes that improve quality and adherence to the high degree of standards in this class. These types of steps may increase production time and consequently cost. Additionally, increased inspection can add time and cost to this level, but the outcome is the best possible product. As an electronics manufacturing service (EMS) that believes in high standards, we expect that any quality EMS would maintain Class 3 standards for all its products, regardless of requirement. Adhering to any of the IPC-A-610 standards isn’t just about inspections, but about board internal procedures and philosophies that cover every solder in every project that goes through the door. When an IPC-A-610 Standard is fully executed, the electronics manufacturing service will have training and awareness initiatives throughout the facility. Every person, from a project’s inception to inspection, will understand and know what to look for in order to constantly monitor for quality. The best EMS providers will have in-house IPC Standard trainers with regular re-certification from external providers. In some cases, your product may require standards that exceed or differ from the IPC 610 standards. The IPC Standards might be adequate, but for whatever reason, you have a different (or additional) set. 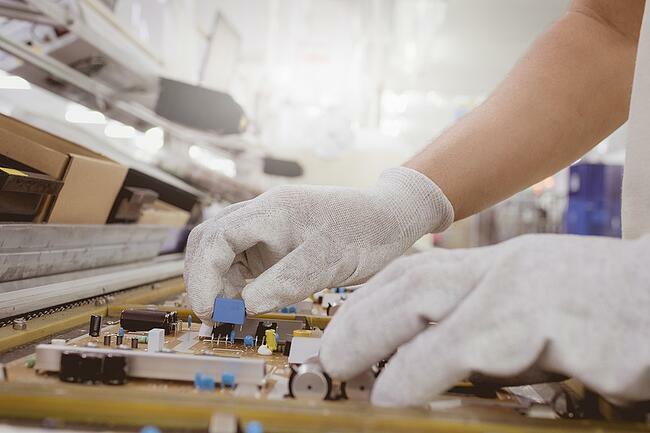 A quality electronics manufacturing service can take your standards and layer them with required IPC 610 standards to ensure you get what you need in your product. Just be sure to communicate your requirements. There will always be some level of variance in what can be called a “good” product. To some extent, that is entirely up to you as you decide the level of IPC Standard that you are comfortable with for your product. After you’ve weighed out the longevity needs and reliability alongside how visually accurate you need your PCBAs to be, you’ll have a good idea of what class of i you’ll need. But by knowing about the IPC-A-610 class standards, you can make a more educated assessment on your own an can then better communicate your ideas and thoughts to your electronic manufacturing service. This helps them to be a better electronics manufacturer for you and your product and increases the likelihood that your product will match what you had in mind originally. Levison Enterprises is proud to offer high-quality standards for all our products, regardless of requirement. We uphold all of the highest IPC-A-610 standards and offer them to all our partners. If a high-quality experience and product are on your to-do list, contact Levison Enterprises to discuss a quote.